Henry Goh & Co Sdn Bhd is an IP consultancy firm of international repute. Our teams of technologists and legal experts handle all aspects of IP protection and management, especially securing and maintaining registration of trademarks, patents and designs. We also offer advisory services relating to exploitation and enforcement, including licensing, franchising, freedom-to-operate, validity and infringement opinions, and litigation support. With headquarters in Kuala Lumpur and a sister office in Singapore, we operate directly in Malaysia, Brunei and Singapore, as well as in other countries through a network of trusted foreign associates. Henry Goh services a wide spectrum of clients, from individuals and small and medium-sized enterprises through to multinationals and Fortune 500 companies alike. 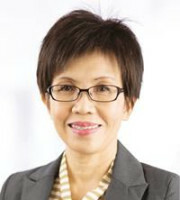 The hard work, diligence and expertise of the people of Henry Goh continue to be recognised by our clients and industry peers around the world through the latest awards and recognition conferred on the firm and its leading professionals by Managing Intellectual Property, World Trademark Review, IAM and Asialaw. In today’s competitive markets, standing out from the crowd has never been more important. A trademark or service mark provides the key link between providers of goods or services and their customers. We dedicate a large specialist team to handling delicate matters arising in the area of trademark and service mark registration. Our services include pre-filing registrability advice, filing and prosecution, renewals, maintenance, advice on exploitation and enforcement. In addition, our specialist team is fully capable of undertaking high-end prosecution work, including hearings and oppositions before the registrar. Our expertise and rapport with the local trademarks office make us the ideal firm for trademark filings in Malaysia and Singapore. We can also file trademark and service mark registrations in any country worldwide through our network of foreign associates, as well as international applications via the Madrid Protocol. Effective drafting, prosecution and exploitation of patents call for a sound aptitude for technology, in-depth knowledge of the applicable law and practice, and excellent communication skills. Our team of registered patent agents have the necessary technical, legal and linguistic prowess to secure and enhance the business value of patent protection for inventions in many diverse technologies. Our local knowledge, expertise and resources make us the natural choice for patent prosecution in Malaysia and Singapore. Industrial design has acquired much greater significance in recent times. As consumers increasingly take the technical functions of goods for granted, design often becomes the decisive factor in a purchase. We routinely assist clients in securing industrial design registrations both at home and abroad. Such a practice demands a sound understanding of both international and local laws covering industrial designs. We can assist clients with the necessary actions in the event that their registered industrial designs are infringed by third parties. In addition to trademark, patent and industrial services, we offer other IP-related services, including copyright advisory and enforcement work, product registration and plant variety protection. These value-added services not only assist our clients, but also allow us to provide a comprehensive, one-stop IP centre for business and commercial needs. 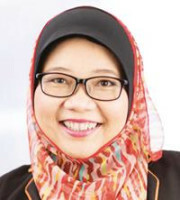 With regard to copyright, Malaysia now offers copyright owners an option to deposit their work via a voluntary notification process. 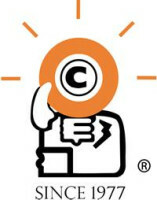 Our team is experienced in handling copyright issues in all fields of creative endeavour. We can also conduct enforcement work. 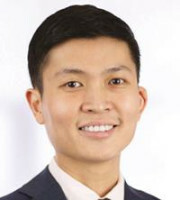 Henry Goh works closely with the authorities and collaborates with them by actively partaking in enforcement activities. This includes raiding business premises that have been identified as infringing clients’ IP rights. Our in-house counsel can provide comprehensive preliminary and pre-litigation advisory services to clients. Wherever possible, we seek to resolve disputes by negotiating with the other party or its representatives. This avenue benefits clients as it avoids the expense, delay and uncertainty of court action. In cases where legal action is unavoidable, litigation is handled by our external counsel, who are specialist IP litigators in their own right. We take an active role in the litigation process by liaising with both our external counsel and clients to ensure a favourable outcome.